What's worse than the plastic waste that is choking Mumbai and other cities in Maharashtra? It’s the way the state government is handling its recent ban on plastic use. 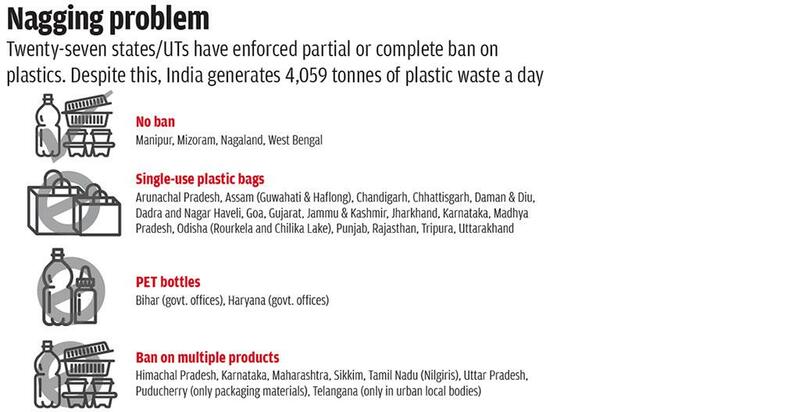 On March 23, Maharashtra became the first in the country to impose a blanket ban not only on plastic carry bags, but also thermocol and multi-layer packaging (see ‘Nagging problem’). But the rollout of the ban has been marred by confusions, thanks to multiple government notifications and a contradictory statement by the state environment minister. The March 23 notification gave consumers and traders a month’s time to hand over their plastic stock to recyclers. On March 28, associations of traders and plastic manufacturers met the government officials to discuss paucity of time and lack of clarity in the notification. “The officials promised to extend the time for disposing of plastic to three months and help the traders connect with recyclers in the state,” says Viren Shah, president, Federation of Retail Traders Welfare Associations. On April 11, the government issued a second notification, extending the time to dispose of plastics till June 23, exempting PET bottles and asking traders to buy back the used ones. It also directed manufacturers to print the buyback mechanism on the bottle label. The notification is, however, silent on how traders could reach the recyclers. The ban was implemented on June 23 even as traders maintained that they are confused about what to do with multi-layer packaging and paper-based carton packaging with a layer of plastic used by big manufacturers. According to Anil Diggikar, environment secretary, Maharashtra, the ban on multi-layer packaging and plastic used by online shopping companies was not included in previous notifications due to the government’s negligence. “It was a mistake. The latest notification clears all the doubts,” says Diggikar. However, not all ambiguities have been addressed, especially on using thermocol for storing fish. On June 25, Maharashtra Environment Minister Ramdas Kadam told media that while the ban on plastic carry bags and dishes, spoons and food plates made from thermocol continues, “thermocol material used for decoration is not banned. It clearly means the fish vendors, who use thermocol for storage, are exempted”. While the first notification on March 23 banned thermocol for decoration, the latest notification on July 4 did not clear the air either. It just exempted multi-layer packaging and plastic used by groceries to sell loose food items. Amid confusion, Maharashtra Pollution Control Board and municipal corporations have carried out several raids—many of which were illegal—on small traders. 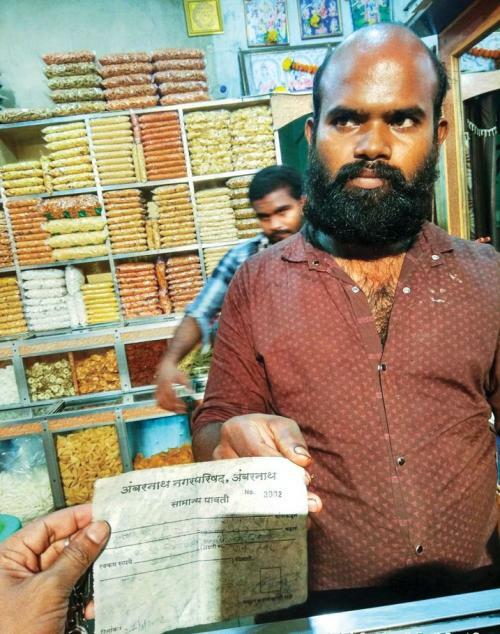 Krishnamurthy Shetty, who runs a hot chips shop in Ambernath, a suburb of Mumbai, was fined Rs 5,000 on May 22, a month before the ban was to be rolled out. “The officials said plastic was banned in the state. They gave me a general receipt, which means the raid was illegal,” says Shetty showing the receipt. The notification allows shopkeepers like Shetty to use plastic to package food items. Jeevan Unecha, owner of Ganesh supermarket in Pune’s Sinhagad road, shares a similar experience. “On May 26, Pune Municipal Corporation raided my shop. When they did not find anything objectionable, they tore the plastic packaging of brooms and incense sticks and imposed a Rs 2,000 fine,” says Unecha. The minimum fine under the notification is Rs 5,000. “The raids conducted in May were aberrations. We are dealing with them,” says Diggikar. Apart from the confusion over rules and unwarranted punitive actions, lack of affordable alternatives is also hurting the prospects of successful implementation of the ban. The government has been urging consumers to switch to cloth bags and biodegradable plastic, but these alternatives have a high upfront cost. Cloth bags, for example, are more eco-friendly and reusable than single-use plastic bags of below 50 micron. But when it comes to upfront cost, Rs 25-75 for a cloth bag does not look encouraging against 10-25 paise per piece for the plastic bag. “It would take at least a couple of months to find a replacement for plastic carry bags, but alternatives to plastic for other usages may need a year,” says Priti Mahesh of Toxics Link, a Delhi-based non-profit working on plastic pollution. Meanwhile, the plastics industry in Maharashtra will lose Rs 1,000 crore due to the ban, says Nimit Punmiya, general secretary of the Plastic Bag Manufacturers Association of India. “Maharashtra has more than 400 plastic bag manufacturing units that employ about 20,000 people. The government should have given us enough time to shift to other sectors because most of the players are small-scale,” adds Punmiya. Ravi Jashnani, president, Maharashtra Plastic Manufacturers Association, believes the ban will fail as the government has not sensitised traders and customers. “In the absence of awareness campaigns on plastic management, the demand for single-use plastic will increase and it will be met by the unorganised sector. This happened in Delhi, where plastic carry bags are still easily available years after the ban,” says Jashnani. To make Maharashtra—which accounts for 20 per cent of the plastic consumption in India—plastic-free, subsidising alternatives could be the way to go. But as of now, it does not seem to be on cards. (This article was first published in the 16-31st July issue of Down To Earth under the headline 'Clearly unclear').